Mono Line Rating (lbs) 40-60 lb. 50-80 lb. 60-100 lb. 80-130 lb. For the seasoned long range fisherman, rail rod fishing has become a standard technique. However, for the long range fisherman taking to the seas for the first time, it may be a method for relieving the stress on your arms, shoulders, and hands. It is a bit of a departure from the days of relying on a rod belt and harness to strap you in for the battle of your life. 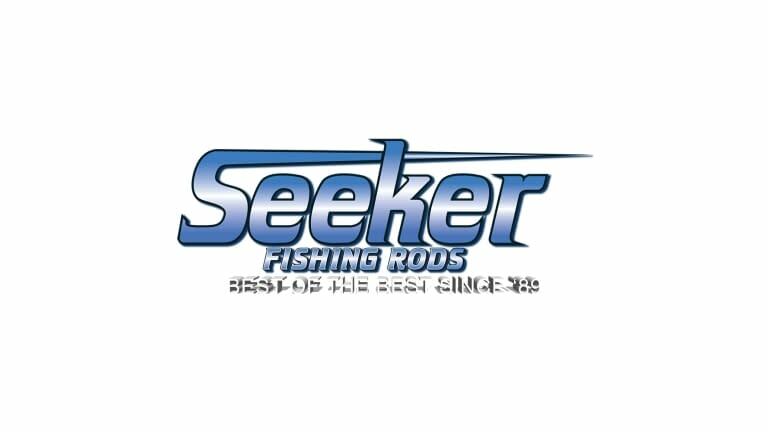 The RailBoss line of Seeker Rods was designed for the fisherman who like the feel and flex of an all glass Rail Rod. The RailBoss is constructed of 100% E-Glass. They are all 6'6" in length and rated from 50lb to conservatively 100lb line in 4 models. Each of the Railboss rods are equipped with indestructible fore grips for durability when levered or run across the boat's rail, and the rods are all finished with Fuji BHBNG heavy duty ring guides.